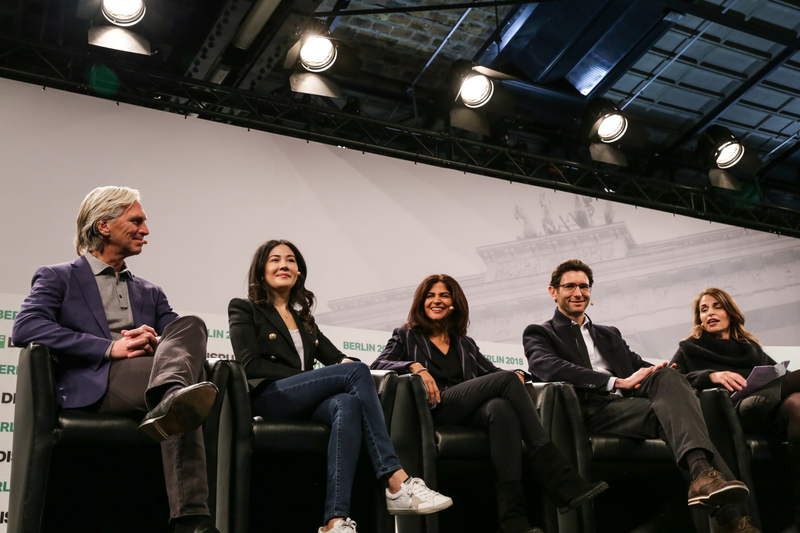 Longtime Accel partners Philippe Botteri, Sonali De Rycker, Luciana Lixandru and Harry Nelis took the stage at Disrupt Berlin earlier today, and unlike many London-based investors, who have downplayed how much Brexit could hurt their local economy, the team was frank about their sundry concerns over what happens if the U.K. leaves the European Union as is currently scheduled to happen, beginning March 29, 2019. Though they reiterated that no one can know for certain what Brexit’s impact might be, Botteri raised a handful of things that have the firm worried, beginning with “immigration and hiring talent and the movement of talent,” which could be meaningfully hampered by Brexit. “Even companies that don’t move their headquarters to London will often at some point begin to build a team,” he noted, questioning whether that will continue to happen. There’s also the nontrivial issue of what happens to fintech companies, which have been thriving in London as a gateway between the U.S. and Europe and that have easily operated across all of Europe. Asked Botteri, “What about that?” post Brexit. Others of the teams’ concerns center on data resiliency and subsidies. Regarding the first, Botteri noted that “more and more” of Accel’s portfolio companies are “dependent on the use and leverage of data, and obviously,” he continued, “where the data is stored is very critical. You have laws in the EU. If the U.K. is out [that bloc], then does it mean that every company will need to have a separate data center in the U.K. or manage data differently?” As for subsidies, Botteri observed that U.K. startups have received meaningful R&D support from the European Union, and well as the U.K., and wondered aloud how a split will impact startups. Botteri then offered on a personal note that, “It’s not just startups. I’m not a U.K. citizen. I’d love to know at some point what’s going to happen to my visa,” he said with an uncomfortable laugh. The partners didn’t talk about Brexit alone. Instead, among other topics covered in the discussion were the downstream effects of having a player like SoftBank’s Vision Fund in the market, and whether the secondary market is picking up in Europe as many regional companies — like their U.S. counterparts — linger ever longer as privately held companies. As for the biggest backer of SoftBank Vision Fund, Crown Prince Mohammad Bin Salman, who has been tied by U.S. officials to the brutal murder of Saudi journalist Jamal Khashoggi, the association is not prompting questions from founders regarding who, exactly is funding venture capital firms. Not yet, said De Rycker. In part, she suggested, founders don’t have the time to give it as much thought as they perhaps should. Before the foursome exited the stage, the partners touched on the secondary market, saying that though there is one, it’s not quite as evolved as in the U.S., where secondaries have become a routine way for venture capitalists to exit all or part of their investments. Asked how soon is too soon to do that, the firm declined to comment directly. Instead, Botteri said that it hasn’t noticed any changes on this front over the last five years.